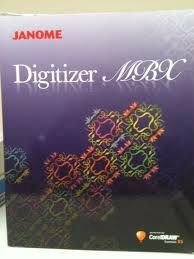 The Janome Digitizer MBX version 4.0 is now available from sewingmachines.com.au. Whats New. 25 New Alphabets, now 100 in total. 20 new Jan files highlighting the new features. 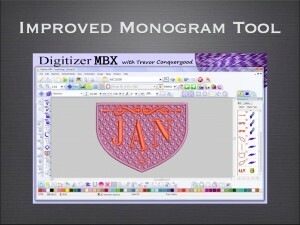 The monogram tool has been has been greatly improved. When you start a new monogram object a window opens up opens where you can control the lettering, choose a style, font and size. Then you can add ornaments from the provided sets of motifs or from your own embroidery designs. You can also create a border with fill and or an outline. With ambiance quilting you can easily create new and interesting quilt blocks. You set the size of the block you want to make and then choose from several styles of quilting like stipple, scroll or echo. Once you use the tool several new run line objects are created and you can then convert them to have any type of stitch like backstitch or candlewick run line. 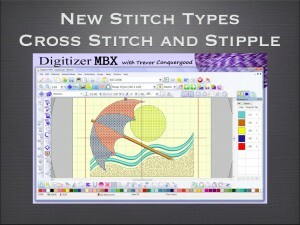 There are two new stitch types that have been added in version 4. One is cross stitch and the other is stipple fill. open a design and see how you can easily convert parts of the design into cross stitch and other parts into stipple fill. 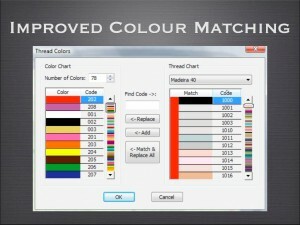 The colour matching tool has been improved in version 4. You can choose from dozens of brands of embroidery thread and then have that thread be matched to the thread of your design. Save your custom thread chart as a template so you can use it again without needing to re do the setup of the colour chart. In version 4 when you hold your mouse over a tool and wait for a moment you will see an expanded tool tip. 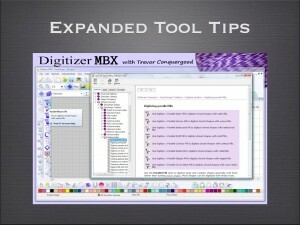 You can use the tool tip to link to that tool in the on screen manual that is included with the software. There are also new expanded rotate and skew tool tips. 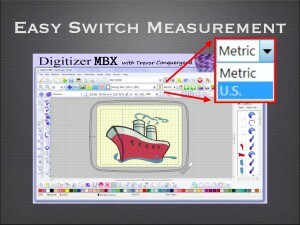 New in version 4 is the ability to easily change from metric to imperial measurement system. You can actually use both systems at the same time. 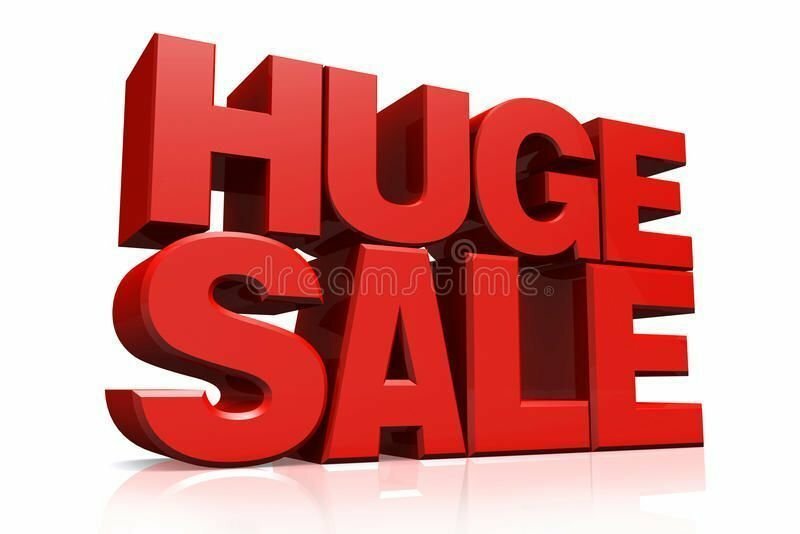 If you are using metric but type in a number with the � for inches after the software will automatically convert that number to metric. 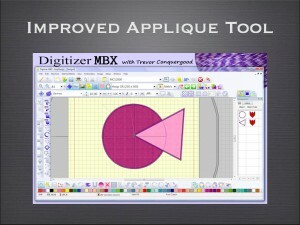 The applique tool has been improved in version 4. You now have the ability to display applique fabric that is pre loaded or you can create custom fabric to use on your shapes. Also in new version 4 is the ability to remove the satin stitch border where two appliques overlap. 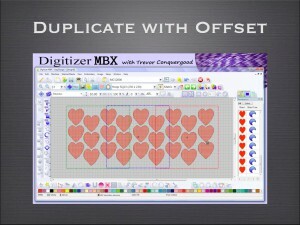 New in version 4 is the ability to duplicate with an offset. When you right click and drag you will make a duplicate of an object. If you use the duplicate tool you will continue to get new objects at an equal space from the previous object based on the offset. The lettering art tool has been improved in version 4. 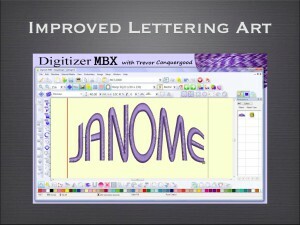 You now have the ability to apply more than one type of lettering art on the same object. Then you can remove one layer of the lettering art or remove all lettering art if you want to try again. 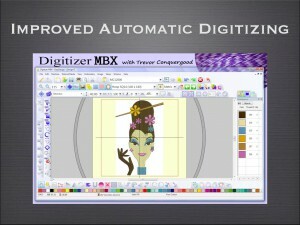 IN version 4 the automatic digitizing tool has been improved to have even more control over the process. Shows you how to choose what colour will be a fill or detail and how that relates to the finished design. Includes the improved fill hole and remove overlap tool. The ability to open a stitch file such as .jef or .dst and then make edits to the design is possible because of a special ability called object recognition. 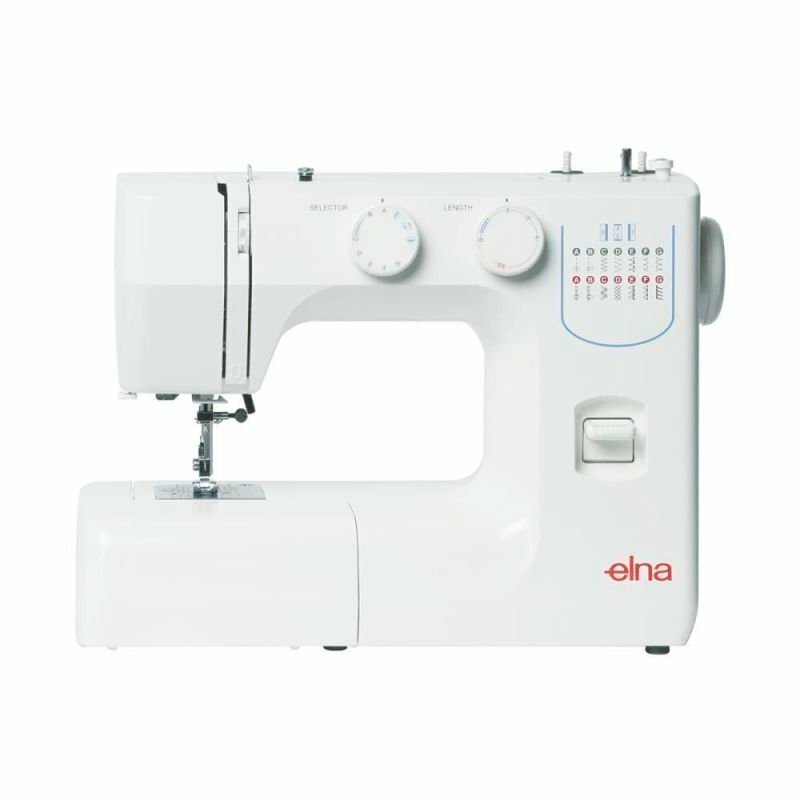 The software reads the stitches of a design and then creates objects based on it�s understanding of the patterns. In version 4 the object recognition has been improved . New in version 4 is the ability to ensure a thread trim will happen in your design. There is a new tool called trim always and you can use this to force the software to include jumps to create a thread trim in the design. You can use this tool on objects you create and also lettering objects. You can add outlines or offsets to your objects with this improved tool. You can choose the type of stitch for the outline and separate control for the offset. Also new is the ability to choose from individual outlines or a welded object around the common shape. With the break apart tool you can separate the individual parts of a group of objects that have been grouped together with branching. Objects that are branched together will be connected with a common start and end point and the software will plan the connecting stitches to path the objects together. New in version 4 is the closed line tool for both run line and satin border. This tool works the same as the original open run line tool except that the same is automatically closed when you press enter. 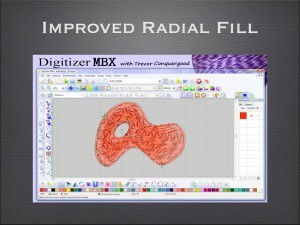 Radial fill has been improved in version 4 to make it much easier to reshape or move the center of the radius. Now you can not only move the point but you can adjust the size of the radius and shape. The object is edited like it was a parallel and not like a turning angle fill as it was in version 3. The new splitting guide tool give you the ability to choose where large objects will be split when you are multi hooping or using the Giga or Macro hoop. 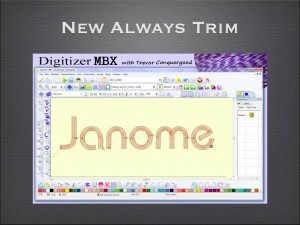 The new tool will split lettering, run line or fill objects. 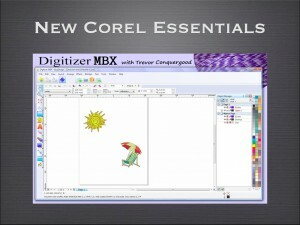 n version 4 Digitizer includes the ability to use vectors with the Corel Draw option. 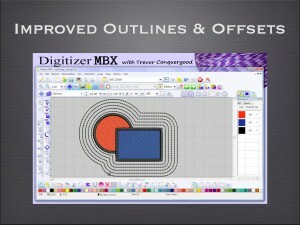 You can switch between Corel and Digitizer software and easily create embroidery from vectors. 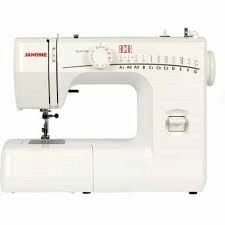 You can also do the opposite and convert embroidery to be a vector. 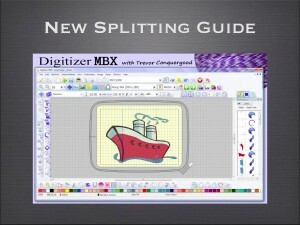 See the tools available when using Corel graphics mode with Digitizer software.